Montorio Show Home Fully Loaded and built to the highest standards, Featuring 2440 SQ FT. Walk in the Main floor and through the spacious foyer to an open floor plan complete with Flex Room, Roomy great room w/fireplace, superb layout master chef Kitchen w/Quartz counter tops & eating bar, Stainless steel appliances, plenty of cabinet space & 14 ft breakfast nook off the kitchen. The upper floor features central bonus room that separates the master from the additional 2 bedrooms. The master bedroom offers a spacious 5-piece ensuite, huge walk-in closet with built-in organizers and a relaxing 9 x 9 loft space ideal for baby crib or quite place to relax in. The upper floor also has 5-piece main bathroom & a family-sized laundry room with sink. 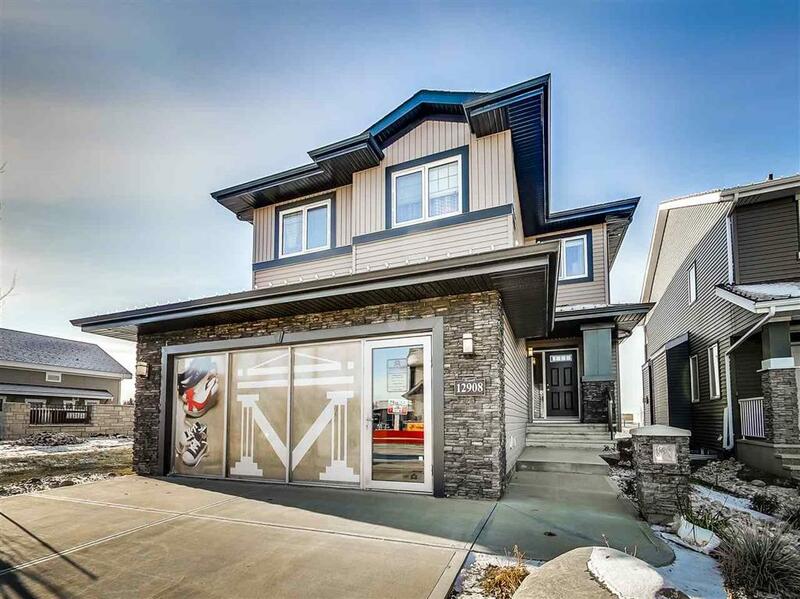 Extras include, a completely finished double garage w/gas heater, central air conditioning, whole house sound system, and Alberta New Home warranty. Conveniently located minutes away from Yellowhead Trail, Anthony Henday, Ray Gibbions drive. Floor Area 2,441 Sq. Ft.